We love playing with great apps! We've searched the web high and low to bring your our favourite 10 for October. Tweet us which is your favourite and don’t forget to watch your favourite shows on Hopster! 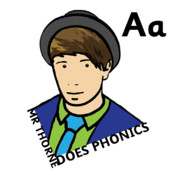 Mr Thorne is a great teacher, a wonderful kids personality and a great friend of ours. 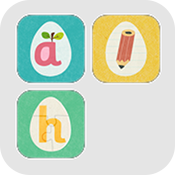 He puts enormous amount of work into his series of Phonics apps for kids and they can be of great help to your little ones. His Spellbook app is one of our favourites. Box of Frogs Media have come up with a brand new concept of mixing Apps with Books and the result is wonderful. In one of their titles, Sophie & The Sea Sophie and her Grannie make their way to the beach and the adventure ensues. Do you like promoting Healthy Eating to your kids? Do your kids love spending time on the iPad? If you answered yes to both of those questions, we urge you to check out Cute Food. 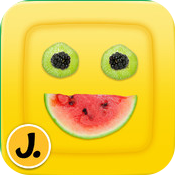 The app provides hundreds of gorgeous food images your little ones can play with, and make meals out of. In last month’s roundup, we featured the brand new Gruffalo Games app. 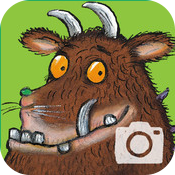 Magic Light have this month come up with another Gem, Gruffalo:Photo. Have you wanted to take selfies with this childhood big friendly giant? If so, this is the app for you. Lego Creator is a must for any Lego loving, budding builders out there. This official app offers A fantastic world of Creatures, Vehicles and Houses for you to explore and BUILD! We think it will be a hit with your slightly older children. Last month we featured the wonderful Hip Hop Hen and since Apple’s release of App bundles, they’ve packaged together some of their most popular apps for a new, great price. Which in the bundle is your favourite? When I was researching apps for this blog post, I saw this app on the App Store and loved the idea of it so much, I was downloading it hoping it would live up to its expectations. 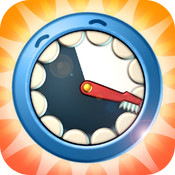 It did, it’s a lovely app with really nice animations – if your rascals are a nightmare at bedtime, this can really take the strain off of teeth cleaning time. 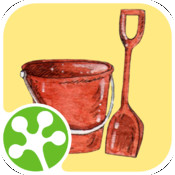 It would be rude to write an app roundup post without including the great Toca themselves. 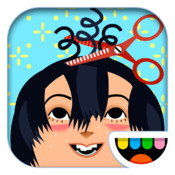 The makers of some of the most popular kids apps release Hair Salon 2 and it’s been very well received. I challenge you to find a child iDevice that doesn’t include a Toca app! 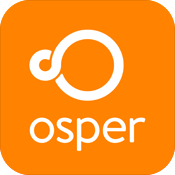 Osper is a new service which allows you to give your kids some freedom over their money. They’ve partnered with MasterCard to bring you a pre-paid debit card your teens can use in shops, online or at cash machines. 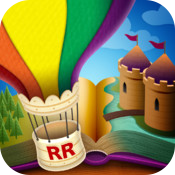 Number one on our list this month is the Reading App from Reading Rainbow. This is essentially Netflix, for books, for kids. With hundreds of books & videos alike, the app can really help your little ones learn to read. From fun stuff to life hacks and getting the most out of Hopster. Celebrate Holi with our fun Holi activities for preschool kids!